Shawnee tribal member and renowned Indigenous Poet, Laura Da’, read poems from her most recent book, ‘Instruments of the True Measure’, the follow up to the critically acclaimed, Tributaries. As far back as many can recall, long before precontact times, Indigenous Peoples used the art of poetry to engage their communities and convey important life lessons. Through stories, the younger generations learn how to navigate through their journey and avoid some of the many pitfalls life has to offer. Poetry has always been a way to cleverly portray a story, rhythmically using words to paint vivid pictures into the audience’s mind. Traditionally, poems were crafted as blessings to the creator and countless storytellers throughout time used poetry to explain how Mother Earth came to be, with such verses describing the raven stealing the moon and tossing it into the sky. And across the world, generation after generation, romantics relied on the expressive art form to win the hearts of their main attraction. 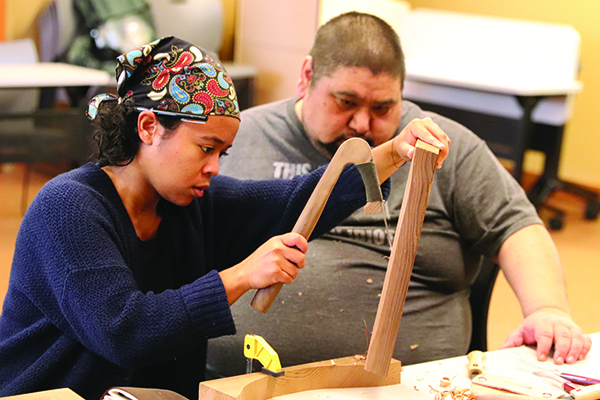 Once a month, the Hibulb Cultural Center hosts a poetry series inside of their longhouse where local Indigenous poets are featured and invited to share their words with the community. The series provides a space where creatives can tell their story and explain the thought behind each of their readings, while listeners delve into the deeper meaning, paying close attention and hanging onto every word. 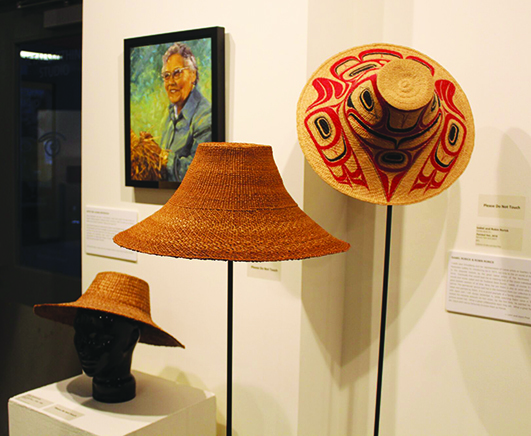 “Tulalip elders were the foremost poets in our area,” says Hibulb Cultural Center Education Curator, Lena Jones. “Our ancestral language itself is rhythmical and expressive. When one translates the elders’ words and wisdom from Lushootseed, the words contain profound meaning expressed in a beautiful way. Our elders tell us that the ancestral elders advised us to use words as medicine for the people. On the afternoon of January 3, Shawnee tribal member and renowned Indigenous Poet, Laura Da’ read poems from her most recent book, Instruments of the True Measure, the follow up to the critically acclaimed, Tributaries. 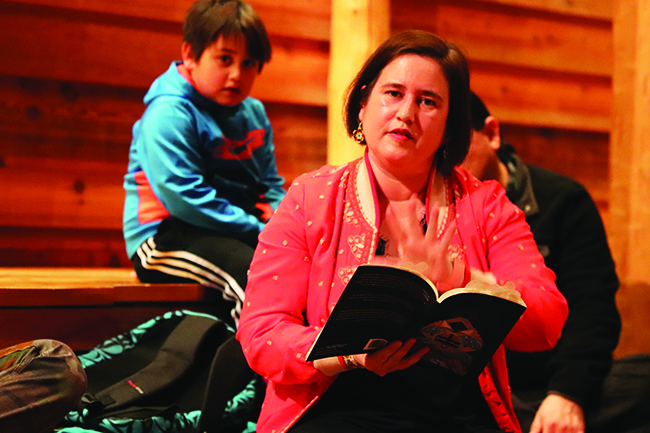 During Hibulb’s first poetry series of the year, she explained that she created fictional characters to tell the true story of the relocation of the Shawnee people. Poetry is an essential art within many cultures and has led to modern day music and film. 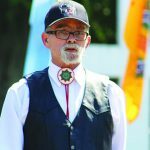 To Native American culture specifically, poems are integral to many tribal communities’ way of life. Since the years of forced relocation and assimilation, contemporary Indigenous writers use poetry to speak about important issues and accurately recount the colonization era that is far too often romanticized in U.S. History. While displaying incredible resiliency, the poets give insight to rez life, coping with generational trauma as well as many other issues happening across Native America. The one-hour poetry series allows the featured artist to express their words for approximately half-an-hour. The floor is then opened up for fellow wordsmiths to share their poems and ideas with the people. In recent years, poetry has seen a huge resurgence within tribal communities. More and more youth are reciting original words that reflect their perspectives while tackling issues that they witness on a day-to-day basis including suicide and drug abuse. Laura encourages young Indigenous writers and artists to pursue their dream and continue creating. 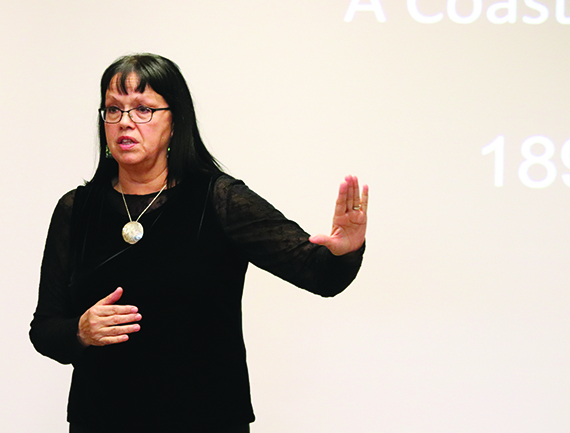 She also urges young Native women to use their talents as a tool to heighten their voice, expressing that stories about Missing and Murdered Indigenous Women, as well as domestic and sexual assault, need to be heard. 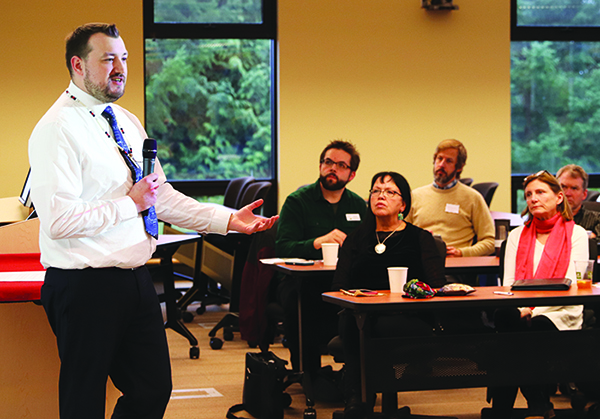 The next Hibulb Cultural Center Poetry Series will be held on February 7. 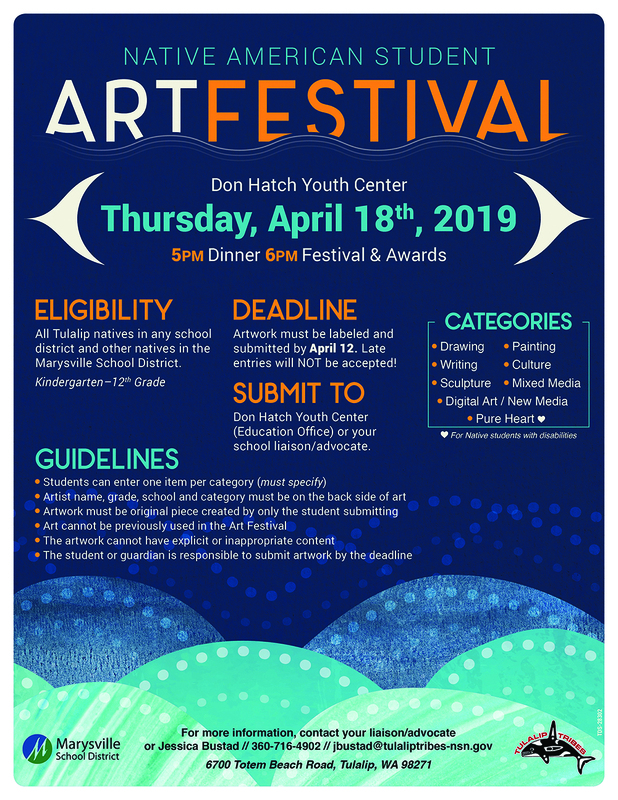 For additional details, please contact the museum at (360) 716-2600. 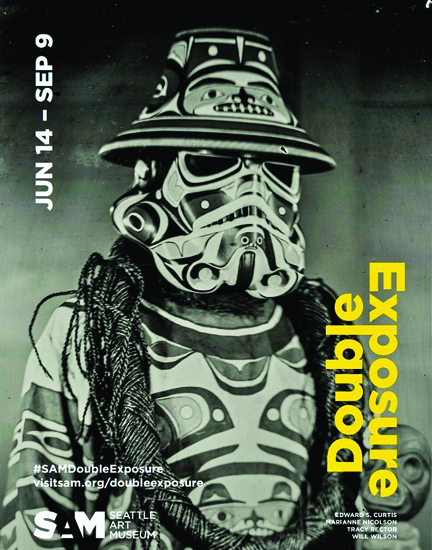 The Seattle Art Museum (SAM) presents Double Exposure: Edward S. Curtis, Marianne Nicolson, Tracy Rector, Will Wilson (on display from June 14 – September 9). 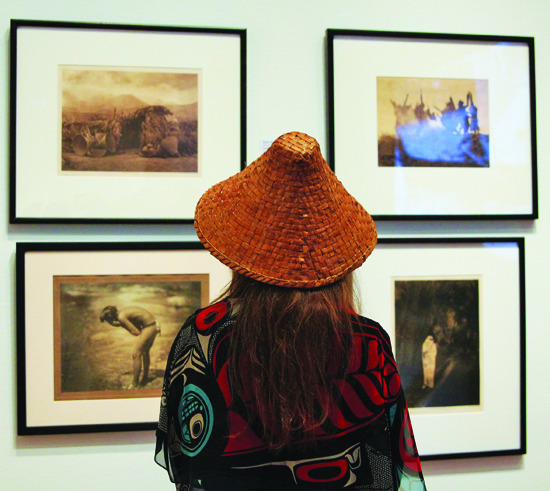 Featuring iconic early 20th-century photographs by photographer Edward S. Curtis alongside contemporary works – including photography, video, and installations – by Indigenous artists Marianne Nicolson, Tracy Rector, and Will Wilson. Their powerful portrayals of Native identity offer a compelling counter narrative to the stereotypes present in Curtis’s images. 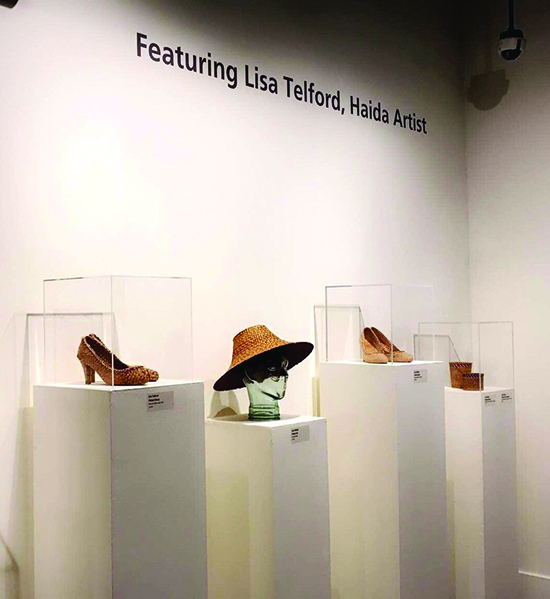 Three contemporary Indigenous artists in Double Exposure challenge assumptions about Native art and illustrate how Native communities continue to creatively define their identity and cultures for themselves. First Nation artist Marianne Nicolson created an immersive sculptural light installation that casts moving shadows to address the impact of the 1964 Columbia River Treaty on Native communities. Seminole and Choctaw filmmaker/artists Tracy Rector empowers Indigenous communities by capturing the activism, defiance, and reclaimed traditions of Native tribes through her new video work of short stories derived from environmental awareness and life experiences of Natives today. 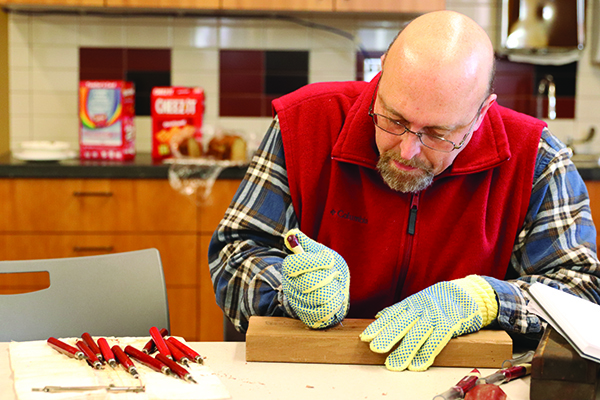 “All of my work is centered in Indigenous story: for, by, and about Indigenous people,” says Rector, whose video will welcome viewers inside a “Native-activated space” surrounded by related art. Will Wilson’s large-scale tintype portraits feature Native lawmakers, artists, educators, and community members from the Seattle area. 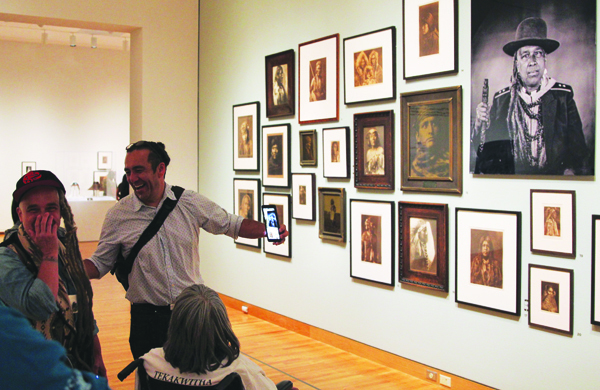 Artist Tracy Rector, Senator John McCoy, and others will speak through “talking” tintypes created using augmented reality. 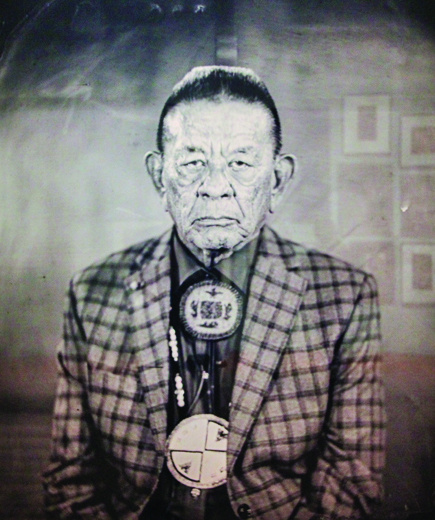 Wilson, a Navajo/Diné photographer, aims to counter stereotypes that Curtis’s work propagated. 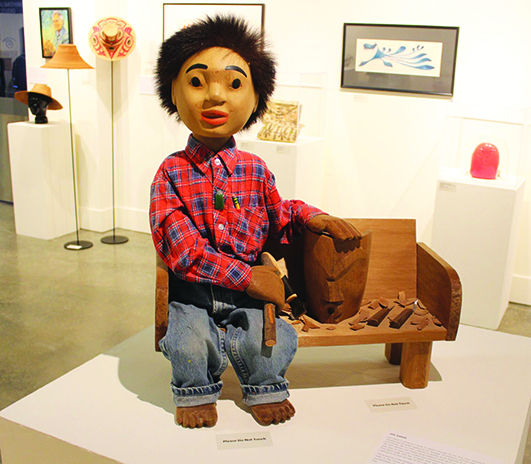 “I want to supplant Curtis’s ‘settler’ gaze and the remarkable body of ethnographic material he compiled with a contemporary vision of Native North America,” states Wilson. 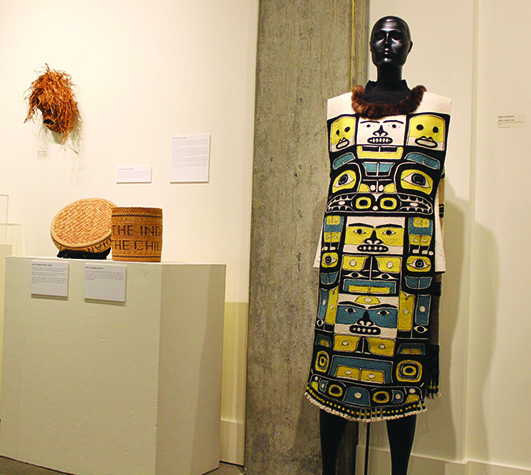 In honor of Double Exposure’s opening, the Seattle Art Museum invited any individuals with tribal affiliations to be the first visitors to view the exhibit. 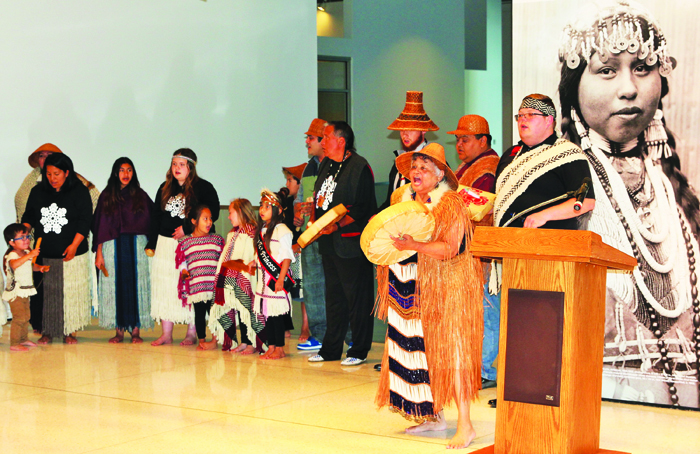 Dubbed ‘the Indigenous Peoples opening’, held the evening of June 11, representatives from many Coast Salish tribes gathered at SAM for the free event which included admission to the exhibit, performances by the Suquamish canoe family, and songs shared by Lummi violinist Swil Kanim. 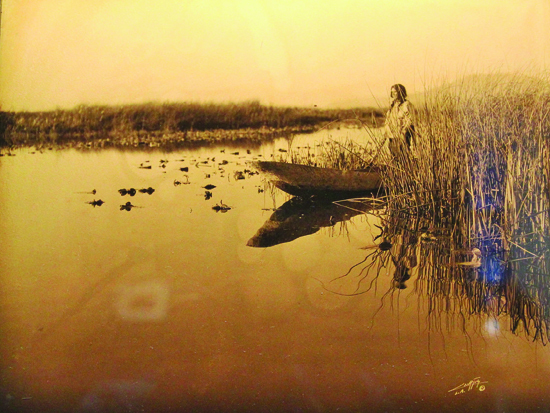 Image credits: Kalamath Lake Marshes, 1923, Edward S. Curtis, goldstone. 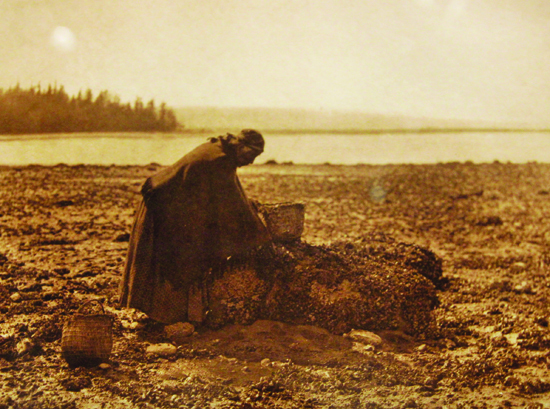 Mussel Gatherer, 1900, Edward S. Curtis, photogravure. John McCoy (Tulalip) – Talking Tintype, 2018, Will Wilson, exhibition print. Madrienne Salgado (Muckleshoot) – Talking Tintype, 2018, Will Wilson, exhibition print. 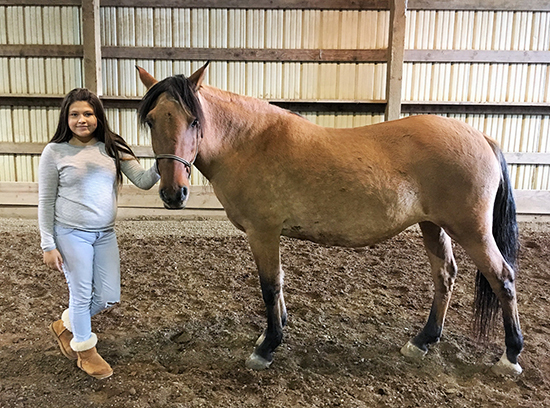 The horse was a major part of Native American history and still plays a vital role in enabling Native youth to connect to their heritage of being caretakers of Mother Earth and all her animals. A new form of spiritual healing can also be derived from individuals and their interaction with the majestic horse, called equine therapy. 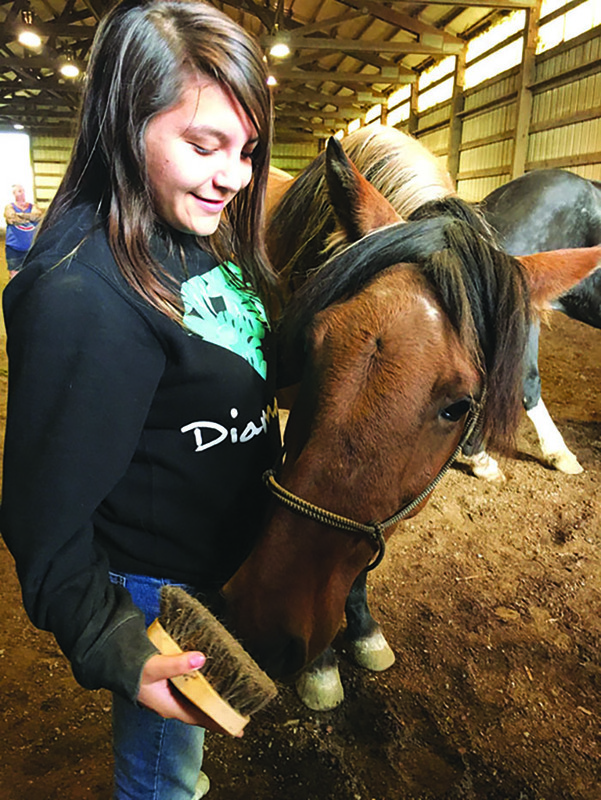 Using horses in a therapeutic setting offers youth clear opportunities to learn about themselves and others in an effective way. 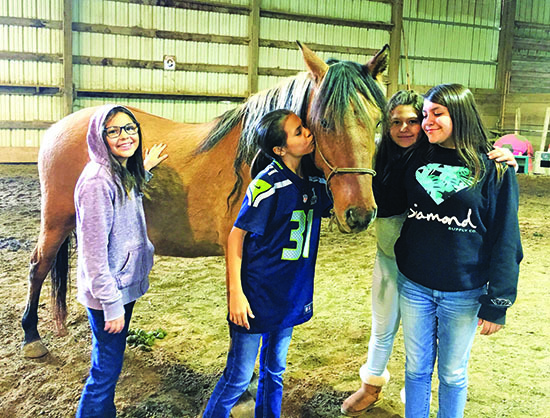 This is why on October 6 the Girl’s Talking Circle took a trip to Cedar Groves Stables in Stanwood, WA for a fun-filled, therapeutic afternoon. Horse and human encounters provide opportunities for learning about relationships and further understanding about boundaries. 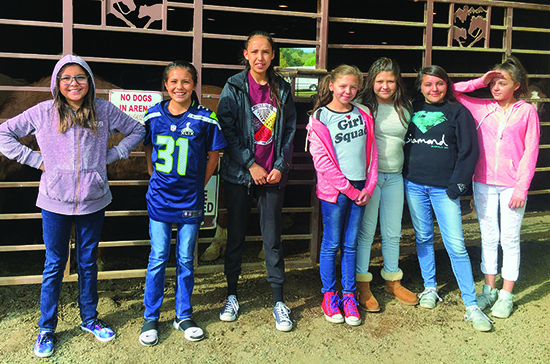 Once the girls transitioned inside the stables and began interacting with the herd of horses, they found themselves using the personal boundary skills they just learned and adjusting to the horses’ needs. Horses, much like people, are social creatures and require mutual trust and respect in order to engage in a productive relationship. If a horse is acting stubborn or defiant, then it can often be understood as a lack of engagement and thoughtfulness on the part of the person. 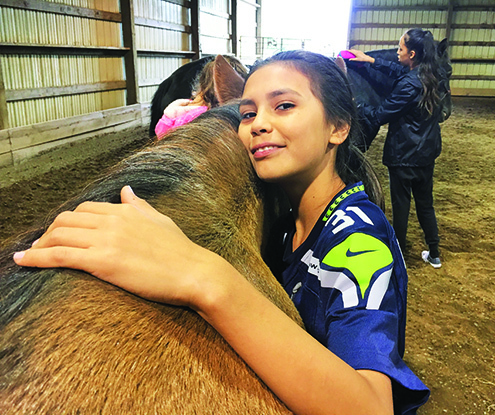 “I liked learning about how you need to calm yourself around the horses, so they’ll learn to trust you and won’t hurt you,” remarked 14-year-old Ariyah Guardipee (Salish Kootenai). For the girls, making a connection with a horse required self-awareness in order to produce positive intentions, while also reading the emotional output of the horse. Once a balance has been reached, the girls were able to approach the horses and establish a bond. How much space to give a certain horse and when or if they could reciprocate attention or affection is a learned skill they showcased brilliantly. Volunteer chaperone and tribal member, Darkfeather Ancheta, jumped at the opportunity to attend the workshop with the Girls Talking Circle. She witnessed first-hand the girls learn personal boundary skills and then use them to develop bonds with the horses. “It was very powerful! The girls’ energy and moods changed instantly around the horses. To watch them react, learn, and respond the way they did was so amazing. 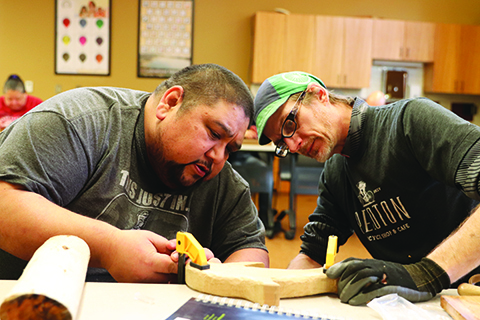 This program can change lives for the better,” stated Darkfeather. 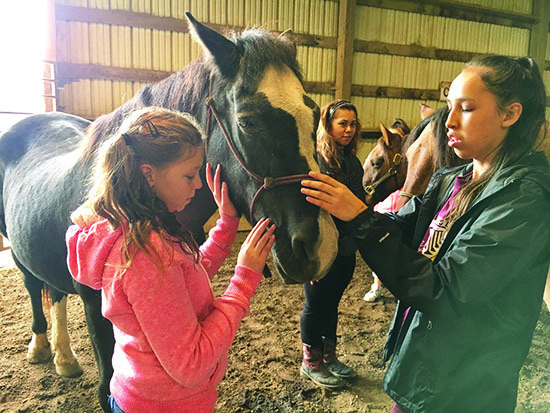 The connection established with these equine companions brought out the hidden inner strength and courage of each and every youth participant. Overcoming doubts and developing confidence are only a couple of supplemental results they also enjoyed from their time at the Stables. Activities that teach skills ‘outside of the box’ are vital to programs like the Girls Talking Circle for developing healthy, well-rounded individuals and groups of youth in our community. These are experiences the youth and those adults who are privileged enough to work with them won’t soon forget. NAIG opened with a surprise musical appearance from Taboo of the Black Eyed Peas, flanked by traditional hoop dancers putting on a mesmerizing cultural performance. On the spectacular evening of Sunday, July 16 an estimated 5,250 Indigenous athletes, coaches and support staff proudly marched into the Aviva Center, located just outside of Canada’s largest city Toronto, for the opening ceremony of the North American Indigenous Games (NAIG) 2017. The over 5,000 athletes represent 26 regions across North America, consisting of 13 provinces and territories in Canada and 13 regions in the United States. Since 1990, Indigenous competitors between the ages of 13 and 19-years-old have taken part in the showcase that celebrates their athleticism and heritage. 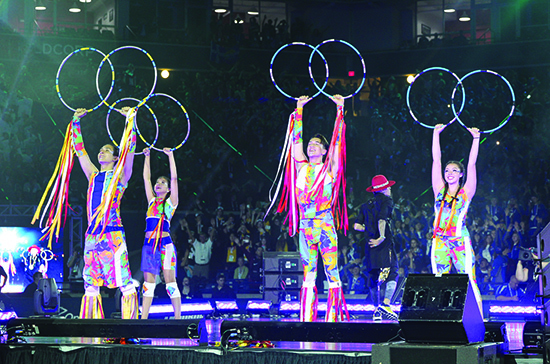 This year’s Indigenous Games marks the 9th edition of the multi-sport, multi-disciplinary event dedicated to Indigenous youth from the United States and Canada. The Games offer 14 sport competitions in addition to a vibrant cultural program. For the first time in over 25 years NAIG returned to eastern Canada, notably allowing the province of Ontario to host its first ever Indigenous Games. 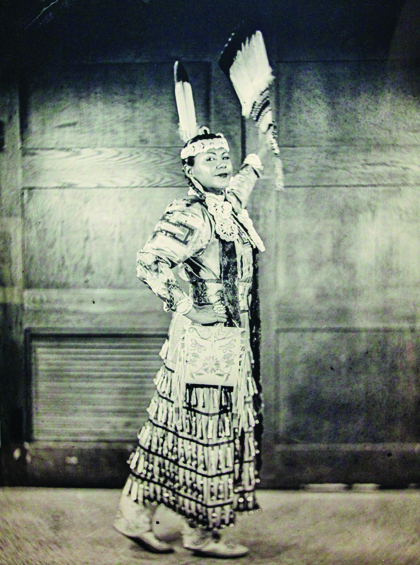 For many of the young tribal competitors who reside on reservations in the United States, their athletic expertise allowed them their first ever entrance into Canada, to sightsee the City of Toronto, and, most importantly, to experience and connect with Indigenous cultures from around the continent. 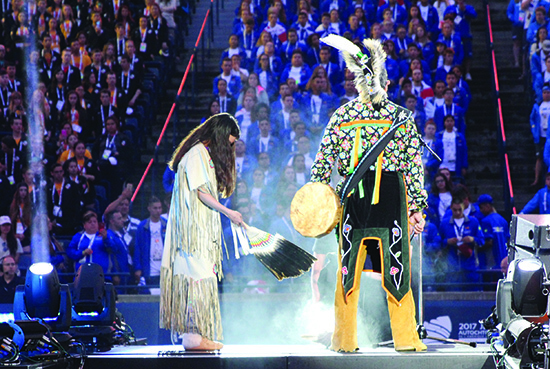 Mississauga of the New Credit First Nation elder Gary Sioux lit the ceremonial smudge and offered a blessing, while his granddaughter fanned the flames of competition for NAIG 2017. 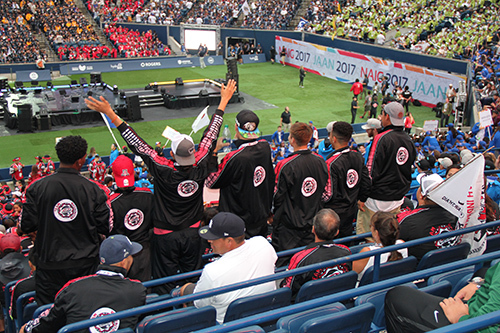 During the opening ceremony of NAIG 2017, which was delayed approximately 90-minutes due to a thunderstorm, the capacity crowd of over 9,000 was rightfully energized by a surprise musical performance from Taboo of the Black Eyed Peas, flanked by traditional hoop dancers putting on a mesmerizing cultural performance. Spanning the week of July 17-22, more than 5,000 athletes from across the continent will compete in 14 sporting categories on the traditional lands and homelands of the Huron-Wendat Nation, Metis Nation of Ontario, Mississauga of the New Credit First Nation, Mississauga of Scugog Island First Nation, and Six Nations of the Grand River. Government and Indigenous leadership from various regions took to stage to deliver rallying messages of encouragement, strength, and unity through sport. 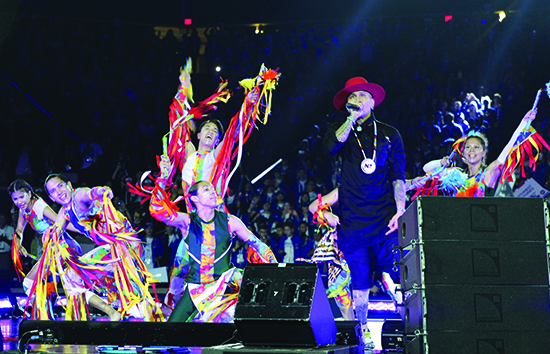 Following a rocking performance by A Tribe Called Red, fireworks filled the night sky at the Aviva Center to signal the beginning of the Toronto 2017 North American Indigenous Games. Sport can be a launching pad for many great things yet to come for youth. Through participation in NAIG 2017, youth are given many opportunities to travel, make new Indigenous friends, and form life-long connections. 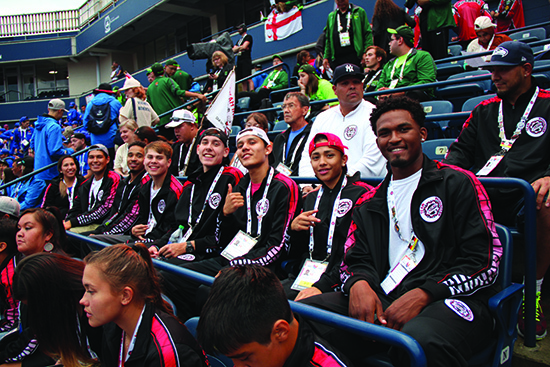 As athletes participating in NAIG 2017, Indigenous youth learn many character building skills, such as team building, courage, determination, and goal-setting in a familiar setting located at the intersection of culture and sport. These are all skills that will help greatly as the youth move on to the next chapters in their lives. Representing the Pacific Northwest region of the United States is Team Washington and its 19U men’s basketball team which includes three Tulalip tribal members: Robert Miles, Darion Joseph, and Bryce Juneau. 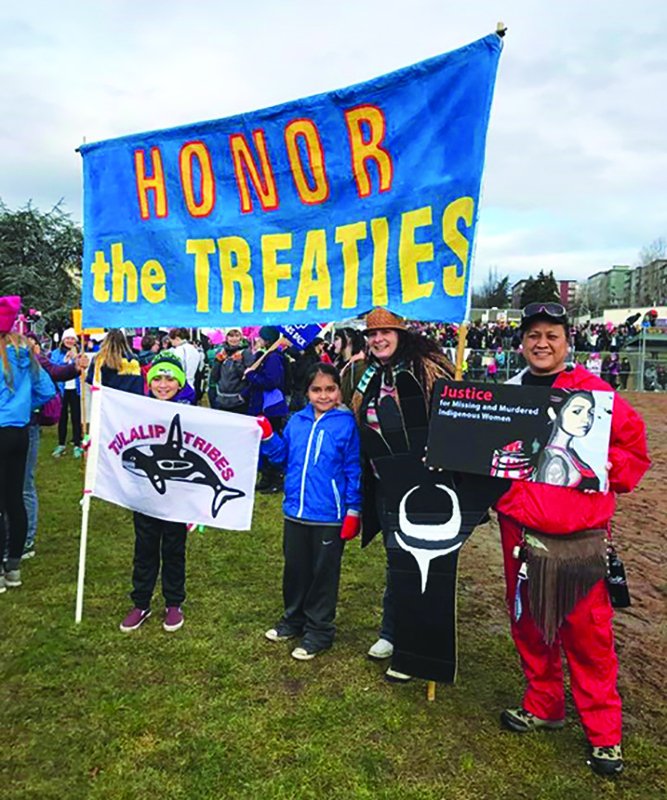 They are joined by Michael Leslie (Muckleshoot), who played basketball for Tulalip Heritage during his sophomore year, Tre Williams (Nez Pierce), Xavier Littlehead (Northern Cheyenne), and Isiah Strom (Yakama). 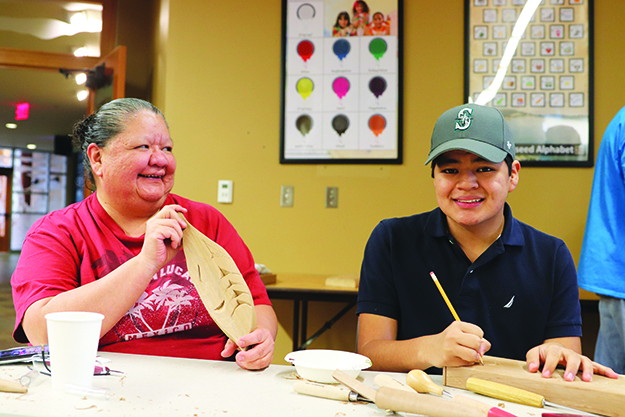 They are coached by Tulalip tribal member Harold Joseph, who participated in the first four editions of NAIG as a competitor and has coached in every NAIG since. The contributions of Native Americans in modern music (from Link Wray to Robbie Robertson, Charley Patton to Buffy Sainte-Marie) got a much-deserved showcase at the Seattle International Film Festival (SIFF) premiere of Rumble: The Indians Who Rocked The World. A celebratory documentary uncovering the indigenous influence on American music history, Rumble was received by an energetic crowd at Seattle’s Paramount Theatre on Friday, May 16. From Charley Patton and Mildred Bailey to Link Wray and Jimi Hendrix; from Jesse Ed Davis and Buffy-Sainte Marie to Robbie Robertson and Randy Castillo, the contributions of Native Americans to the soundtrack of popular culture music are as undeniable as they are underreported. 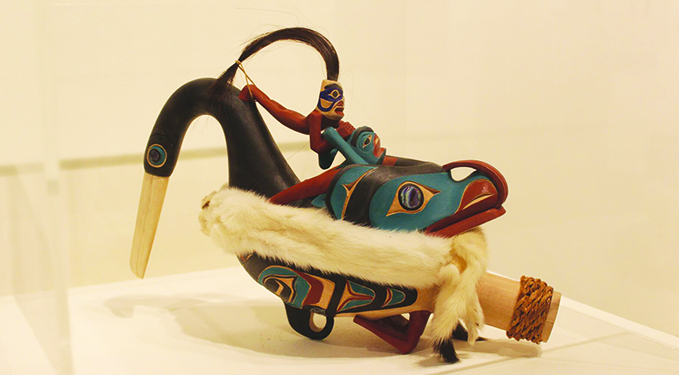 The Indigenous influence spans nearly all the musical genres like blues, jazz, pop, rock and heavy metal. In the celebratory exposé Rumble: The Indians Who Rocked the World, director Catherine Bainbridge takes us through a rollercoaster of fantastic music and wide-ranging interviews – Martin Scorsese and Taj Mahal rub shoulders with Pat Vegas and late poet John Trudell – while never losing sight of the politically precarious place indigenous persons hold in America’s troubled history, a history in which Native culture has been systematically silenced. 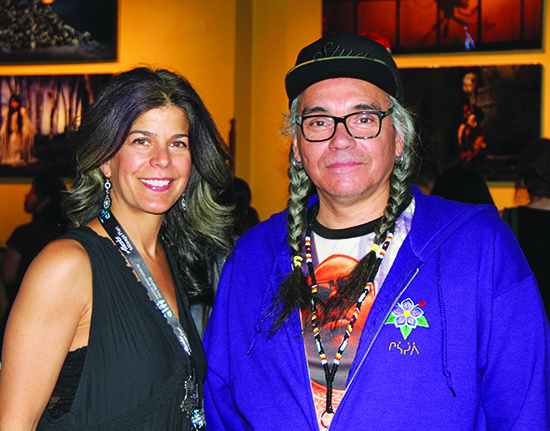 Film producers Lisa Roth and Ernest Webb attend the SIFF premier of their documentary Rumble. “We don’t want to take anything away from anybody, it’s just that we want to add to the story. We want the contributions of Native musicians and artists who helped shape music recognized in the history,” adds Executive Producer Ernest Webb (Cree). “Just because we hid, they thought we had disappeared. A lot of our people and culture was forced to go underground in order to survive. Presently, a lot of our ceremonies and traditional ways are coming back. 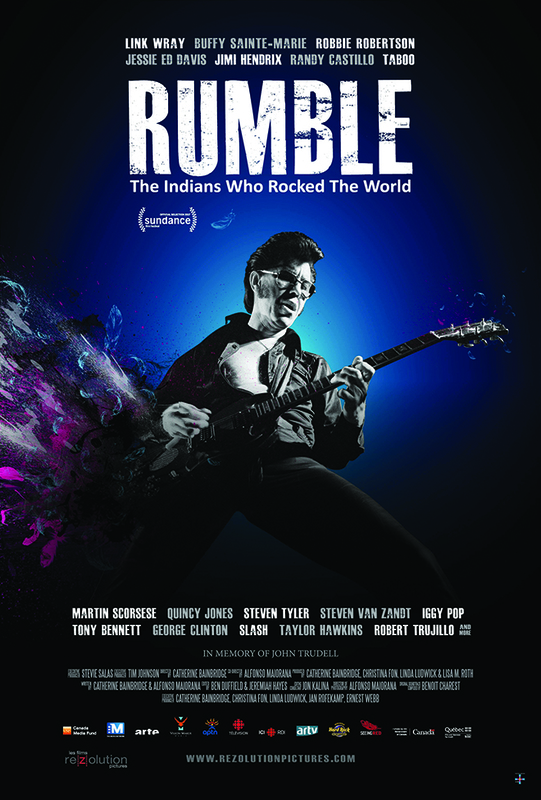 Rumble: The Indians Who Rocked The World will be wide-released to select theaters in the Seattle area later this Summer. 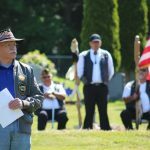 In commemoration of Memorial Day, the Tulalip Tribes held memorial services at both Priest Point and Mission Beach cemeteries, to honor and remember the fallen soldiers who paid the ultimate sacrifice while fighting for this Nation’s freedom. 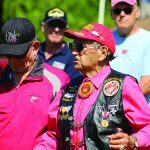 The Tribe thanked the veterans, Gold Star Mothers and active duty members of the military for their service. 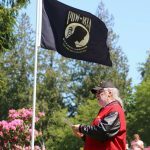 Tulalip Board member and Vietnam Veteran, Mel Sheldon, hosted the services and thanked the Honor Guards, veterans and families who prepared the cemetery for the memorial services. 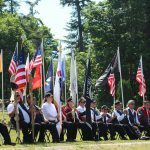 “It’s heartfelt to see all the flags on bedsides of Veterans who served, especially for those who paid their life, the ultimate sacrifice,” Mel expressed. 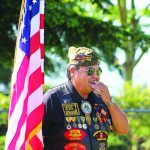 Several Tulalip Veterans shared their experience with the community, recounting their days while on active duty. 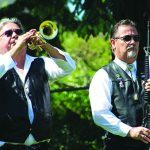 The services included roll call as well as a 21-gun salute at each cemetery. 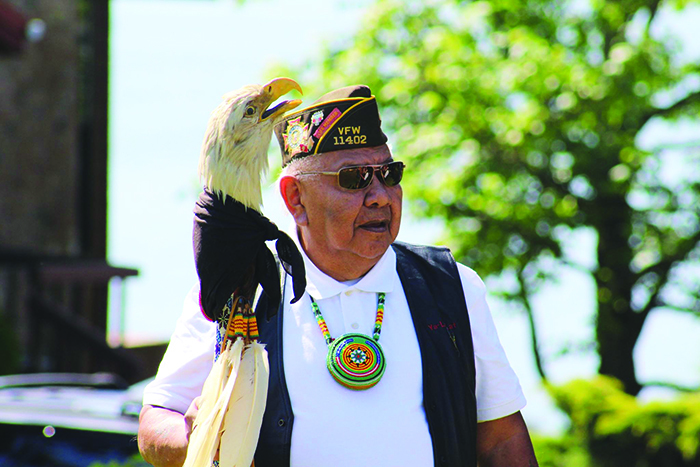 This year, the Tribe enlisted two Vietnam veterans as guest speakers for the memorial services. 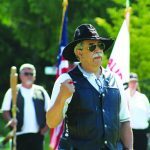 Washington State Council President for the Vietnam Veterans of America, Francisco Ivarra, spoke to the Tulalip community about the important role of family during wartime. President of the Vietnam Helicopter Pilots Association, John Shafer, served alongside Mel during Vietnam. 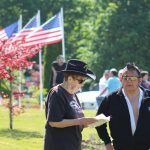 John shared that there were over 42,000 aviators during the Vietnam War and made sure to take a moment to pay respect to Raymond Moses, a Tulalip Veteran who recently was laid to rest.